Researchers at the Delft University of Technology in the Netherlands have come up with a "pocket drone" that weighs only about 4 grams, carries a tiny camera and is controlled by a smartphone. The new drone can fit in one's palm and is supposed to be ideal for cities because it responds to its environment, according to BBC News. While Amazon has been researching how to send packages via drone, other companies use them to judge weather, map areas or simply to spy on others. 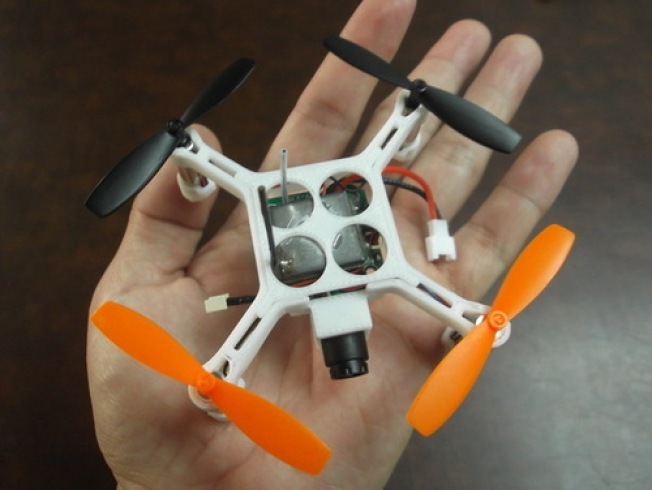 The university didn't really say what the drone would be used for only that it was creating the smallest autonomous drone, and that people would soon want one to "collect data" and "images" according to the BBC News video. The university used its small drone to check out a fire in one of its buildings and take pictures of smoke and damage. Perhaps people will use it to check on pets or their property -- or more likely, to spy on neighbors or exes.